Welcome to the Podcast page. Here we will talk about the drills, fundamentals, and science behind fire arms training. Some of these discussions will be controversial. We welcome all constructive arguments and points of view. 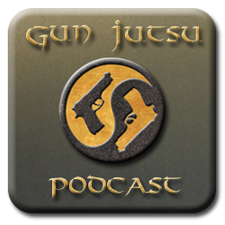 Podcast #1: Introduction to Gun Jutsu, slide Release vs. Sling Shot, and which arguments make sense. Podcast #2: Components of a Comprehensive Training Plan, Review of Dry Fire Trainer app for iPhone & iPod Touch.